In the ever-changing world of social media, it’s not only the Digital Marketing experts that need to research social platform updates, designers do as well. With image sizing (cover photos, display ads, article images) changing often, staying on top of these best practices is crucial to succeeding on each social platform. To make your life easier, we have laid out the ultimate social media design guide. What are you waiting for? Check it out! When it comes to social media, especially Facebook, knowing the proper image sizes needed throughout the platform is extremely important. Facebook is the most technical of social media platforms when used for advertising. There always seems to be a new update, so it’s something that our digital marketing team and designers are constantly watching. Considering the user’s well-being, Facebook has put a limit on the type of image we use. For example, if we are promoting “Flu Shots” we cannot showcase an image that has a needle, due to the common fear of needles. However, we can mention “needle” in our text. Additionally, weight loss campaigns are closely monitored. In images (either illustrated or photographed) we cannot highlight a specific part of the body or seem to be targeting a certain body type, race, gender, etc. In text, the use of “you”, “your”, etc. is prohibited, as it might seem that we are “discriminating against” certain viewers that would feel targeted by these pronouns. As for ‘the 20% rule’ that controlled advertiser’s copy for quite some time - Facebook has pretty much gotten rid of the regulation. Though Facebook still advises against excess amounts of copy on an image, advertisers will not be penalized for it. Twitter’s image sizes don’t change quite as often, but it’s good to be aware of the proper image sizes when uploading. This will avoid images that are originally too small and become blurry when stretched to fit the required dimensions, as well as images that have the edges cropped because they are too wide. Throughout the last year, Twitter has made substantial updates to their platform. From adding detailed analytics options to the brand new Twitter Dashboard, which is currently in beta. When it comes to advertising, Twitter is a bit more laid back than Facebook on design. The optimal character count for images is approximately 24 characters, and image size is 800 x 320 pixels. Twitter Tip: Make sure your cover photo doesn't have anything important in the lower left corner. It will be covered by the square profile image! Though Pinterest has not been around as long as other social giants, such as Twitter and Facebook, Pinterest has become a powerhouse in its own right for advertising. To ensure your brand's pins perform best, give these image sizes a go. Like Twitter, Pinterest is relatively laid back about advertising regulations. Along with the image sizes listed above, it is important to make sure your Pinterest images and social copy are authentic, are not spammy, and obey laws and regulations. Though this social platform is extremely different than the others we have talked about previously, image sizing remains just as important. See our detailed list of all LinkedIn image sizes you will need to keep tabs on. With the ultimate goal to ‘make people more successful and productive in their careers,’ it comes as no surprise that LinkedIn advertising would uphold specific guidelines.Therefore, as an advertiser and designer, it is important to create imagery that does not deceive or lie, is not offensive, has standard text, etc. Since Instagram was bought by Facebook back in 2012, it would only be natural for the tech giant to put both social platforms under one advertising umbrella. When it comes to Instagram ads, images need to be 1080 x 1080 with minimal text and ad copy. YouTube is a tad tricky when it comes to image sizing, and it may take countless edits at first to get what you want. See below for YouTube image sizing you will want to know before you get started. When it comes to YouTube advertising, there is an abundance of rules and regulations. 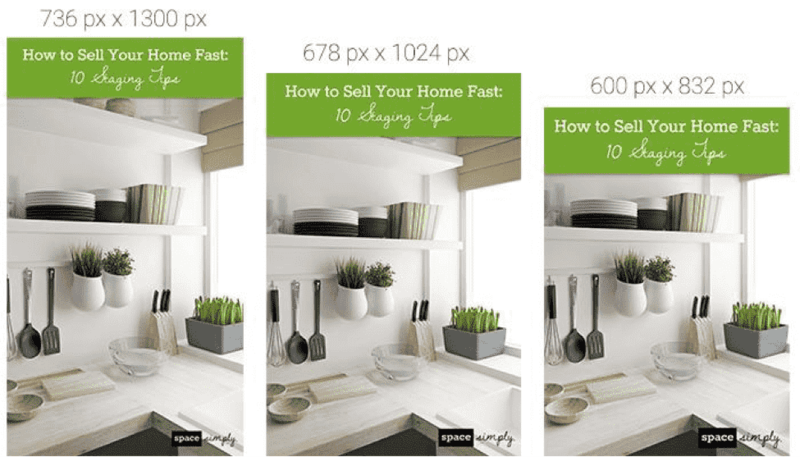 However, the good news for advertisers is that image sizing is pretty straight forward. Keep your image and video copy non-offensive and consistent throughout and you should be good to go! Take Your Social Media Advertising Above and Beyond! And there you have it - your full breakdown on social media advertising guidelines and social image sizing! Want to learn more? We would love to hear from you. Fill out our form below and we will get back to you right away.